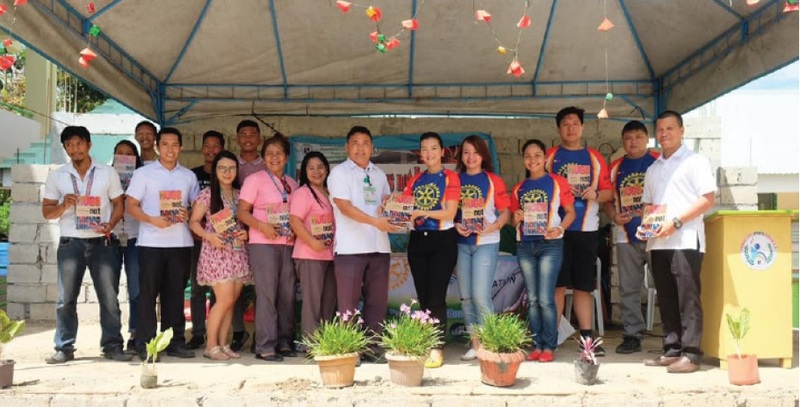 TACLOBAN CITY- The Rotary Club of Ormoc Bay has launched a book giving activity to 20 public schools in Ormoc City as part of their anti-illegal drugs advocacy. At least 600 books entitled “Hugs, not Drugs” will be donated to the identified high schools in the city, said Apple Anido-Alagon, the club president. Written by Susan Ople-Osario, the “Hugs, not Drugs” book served as a drug abuse prevention manual, particularly to the youths. 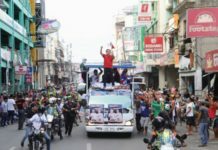 “It’s my way of hoping that through the help of Department of Education, school heads, and teachers we educate the students on the dangers of drug use, abuse, and addiction,” Alagon said. “That there are no sides. The students should know that no matter what, their families will be there to protect and help them overcome whatever struggles they are experiencing and drugs will never be the answer,” she added. “I thought of sharing a personal story to the students as we donated 60 ‘Hugs, not Drugs’ books…because stories can reach more people than just quotes we lift from books,” said Alagon during the book distribution at Ormoc City Sports Senior High School. 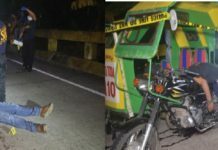 “Our dad was gunned down in broad day light as he was heading home to prepare for a scheduled excursion of all department heads of LGU Tacloban to Sabin (in Ormoc).Our dad, in all his 72 years, was an honest man. And he thrived knowing he has lived a righteous life in a world where everyone can easily be bought by money, position and power,” she said. “When he was given the task to help clean up one of the city’s most corrupt unit, he did it like how he’s worked before, forgetting that the world has changed and some people are not as principled nor as honorable anymore. So he paid the price of being righteous with his life. And to this day, as a daughter, I may have lost a father I looked up to, but I will always remember him as someone who was incorruptible, righteous and honest. A person I will always be proud to call my Dad,” Alagon wrote.